Nursery teacher training offers the best way to reach success if your aim is to become a teacher. There are numerous benefits to this career and a nursery teacher plays a very important role in the lives of pre-schoolers. Moreover, it’s a profession which provides valuable service to society. When it comes to Montessori teachers training, you will be allowed to teach and train the children in a particular range of age. It is completely based on self-directed activity. It will be easy and comfortable work for women since they handle kids smoothly. Additionally, spending time with kids makes you get relaxed and be cool always. Why training for nursery teachers? If you see Nursery/Montessori teachers training has now been recognized as the most important need in the current scenario world over. Because Parents are showing interest to join their kid in preschool since they understood the importance of it. Every day is unique and brings you an unexpected learning experience. Thus, you are perfectly suitable for this profession if you have a passion for education and enjoy working with small children. There are a million benefits for a Nursery teacher more than other career options. Just, look at the following rewards of being a nursery teacher. You can get Montessori teacher jobs in Kolkata easily if you are passed plus two or secondary education/graduation/post graduation. It helps you to boost up your multitasking skills and improve the quality of your teaching methods. Since there is a growth in the education field, the demand for nursery teachers is also increasing day by day. It is one of the best and respected fields since you will be in the position to teach young children. Since women have that motherly love and affection, it is a more suitable job for them to care for children. Moreover, there is no need to work hard; it’s an easy job since you will be spending time with kids. The main advantage is Nursery teachers will be given a family-centered work schedule. Check out the Montessori teachers training in Kolkata and choose your teachers training course. Students who are interested to become a nursery teacher should get certification from one of the AIECCE certified institutes. Montessori teachers training in Kolkata located at Netaji Nagar, Behala and Bhowanipur gives the best teachers training course and you can contact the institutes for teacher training course details. The nursery teacher training course fees are reasonable and can be paid in instalments. Since you will be allowed to teach students from the primary level, you will be given training based on that. Further, take continuing education courses. 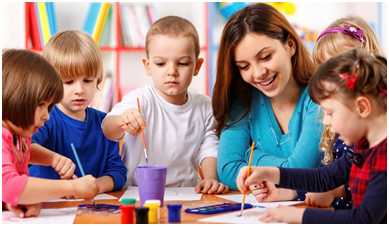 Mostly Montessori teacher jobs in Kolkata are in high demand, you can find great options for Montessori teachers training institutes which gives the best coaching for women by providing all required skills needed to become a successful preschool teacher. If you are working in a pleasant environment, then undoubtedly, it’s a reward. You can work independently and use your creative thoughts to teach children. Holidays in preschool are an added bonus and it provides strong potential for career advancement. Developmental progress of the children make you feel proud and definitely, it will be an encouraging factor. There are many Montessori teacher jobs in Kolkata. You will be given proper training in teacher training institute in Kolkatabased on all qualities needed to become a preschool teacher. 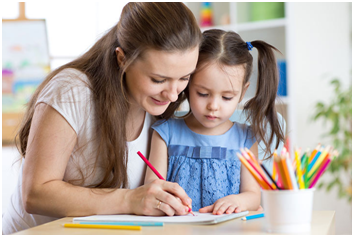 Hence join Montessori teachers training in Kolkata to become a successful teacher. Be the inspiration for young kids and kick start your career in teaching. There are no stringent qualification requirements. Many have done the course on passing secondary school. There are many who choose to do it after graduation or post graduation. Sooner you join the earlier you can start your teaching career in primary schools. Take the first step today and reach out to Jeetender Kaur, principal for After Schools at Euro Kids Netaji Nagar or Euro Kids Behala in Kolkata for free career guidance in Montessori Teaching Career.